The Alcon refractive suite has been heralded as an innovation in Cataract and Lens Replacement treatment. AVC are the first and only clinic to have the Centurion Vision System which is the most advanced, versatile and safest method of phacoemulsification removing all degrees of cataracts and lenses. This has been coupled with the Verion Image Guided System – this is used to measure the pre-operative parameters of the eye to form an individually tailored surgical plan which is then used throughout the procedure enabling our surgeon to make incisions and alignments in real time. The LuxOR LX3 Ophthalmic Microscope with Q-VUE is used to provide our surgeon with a 3D view that creates superior visualisation that is not available with other microscopes. 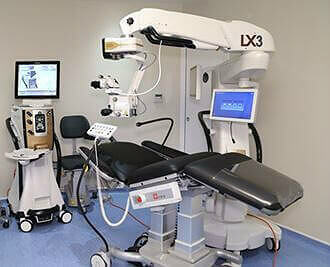 AVC have combined the best equipment available in the world to create the most advanced non-laser (Cataract/Lens Replacement) theatre in the UK called the Alcon Suite. AVC are very proud to be the leaders in the field of non-laser treatments (Cataract / Lens Replacement) and wanted to celebrate by officially opening our new theatre with a gala. The unveiling on the 16th September was a red carpet event with celebrities sharing their experiences with a select number of patients and industry professionals. The evening was started by a speech from the AVC Medical Director, Dr CT Pillai. He was followed by celebrity speaker Hari Dhillon, the UK and US TV star who has featured in Holby City, Without a Trace and Law & Order. He spoke about how his co-star Amanda Mealing had recommended AVC and went on to tell everyone that it was the best piece of advice he had ever received. Gina Beck, one of the West End’s leading ladies having starred in Phantom of the Opera and as Glinda the Witch in Wicked, shared her experience with AVC and how her life has drastically changed after treatment. 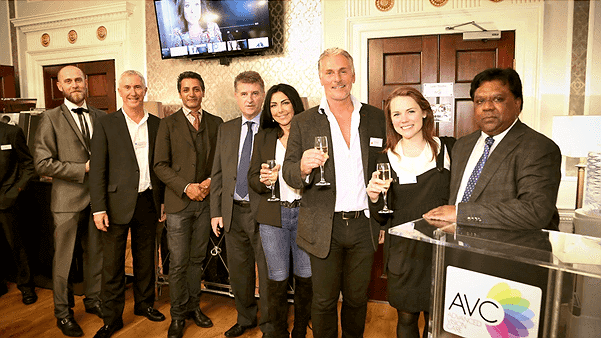 All guests were given the opportunity to take a tour of AVC’s ultra-modern facilities and to speak to professionals about the advanced equipment used throughout the clinic, from the initial assessment to the state of the art theatres, with special attention paid to the new Alcon Cataract/Clear Lens Exchange refractive suite. The evening was an elegant soiree with champagne flowing and exquisite canapés. AVC wanted to say a big thank you all those who participated and attended AVC’s celebration and we look forward to celebrating our next milestone. If you would like to find out more about our Alcon Suite at Advanced Vision Care and how it can treat cataracts, then why not call AVC TODAY on 0800 652 4878 and request your free information pack or book your consultation to find out how we can help you.